Clare Bronowski, a Partner in Glaser Weil’s Real Estate and Government & Regulatory Law departments, specializes in land use and environmental law. With vast experience in administrative and municipal law, transactional real estate and land use processing and litigation, Ms. Bronowski works closely with her clients to guide major development projects through the complex and challenging governmental entitlement process. This expertise makes Ms. Bronowski an integral part of any land development team. Ms. Bronowski’s practice covers a wide range of development areas, including zoning, planning and permitting. 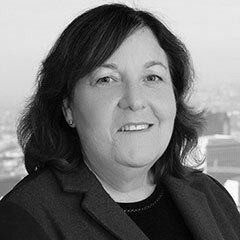 She has received recognition for her specialized knowledge in California Environmental Quality Act (CEQA) compliance, including the preparation and legal defense of environmental impact reports and mitigated negative declarations. In addition, Ms. Bronowski is experienced in processing land development projects under the California Coastal Act before the Coastal Commission. Ms. Bronowski received her bachelor’s degree from Harvard University and her law degree from the University of California, Los Angeles School of Law. During law school, she served as an extern law clerk to the Hon. Harry Pregerson, judge of the U.S. Ninth Circuit Court of Appeals, and participated in the Moot Court Honors Program. Upon graduation, she earned the distinction of Order of the Coif. Ms. Bronowski has been included in the list of Southern California Super Lawyers every year since 2005.